NO WAAAAYYYYYYYYY!!!!! Super exciting news. Get ready valley. This flea market brings it. 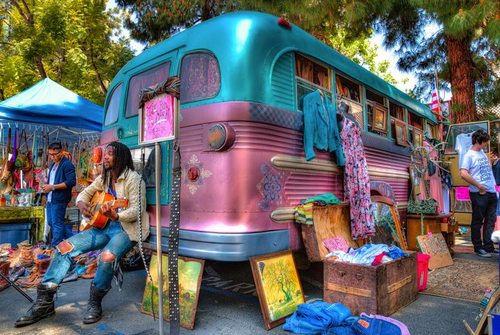 Or on the 4th Sunday you can head right up the road from Taft to Topanga Vintage Market at Pierce College, the Valley’s original vintage hunting ground. “One of LA’s top sources for vintage” according to Angeleno and California Home+Design. 180 vintage vendors, food trucks, music and the Artists Alley. Still only $2. Kids free. Benefitting Pierce College.